The House of Representatives on Thursday, resolved to probe issues surrounding bailout funds given to states by the Federal Government. It said that it would set up an ad hoc committee to investigate the terms and conditions of disbursement of the funds. 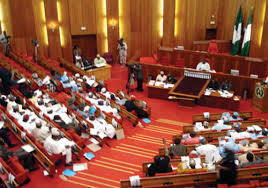 The ad hoc committee, according to the lawmakers, will investigate utilization of the funds, level of compliance with targets and determine the necessity of further disbursement as being planned by the Federal Government. This followed a motion raised under “Matters of Urgent National Importance’’ by Rep. Sunday Karimi (PDP)-Kogi), which was unanimously adopted by members through a voice vote. Moving the motion, Karimi said that the need to investigate the disbursement and utilisation of the funds was geared toward ensuring the welfare of citizens in the affected states. He explained that the Federal Government approved and disbursed N689.5 billion to 27 states in July, 2015, and gave N20 billion to Kogi four months ago. The lawmaker expressed dismay that many of the beneficiary-states had failed to utilize the funds for payment of workers’ salaries and had continued to owe the workers their salaries. He disclosed that reports had alleged that many state governments lodged the bailout funds in interest-bearing accounts and allowed their employees to continue to wallow in hunger and lack. Contributing to the motion, House Leader, Femi Gbajabiamila, said that the intention of giving out the bailout funds was good, but that the application seemed to be wrongly done. He said that in order to have transparency, the house should look into the matter and avoid same mistake in the bailout to be given soon. Also contributing, Minority Leader, Leo Ogor, said that based on the provisions of the Constitution, the house was empowered to look into the methodology and legality of the bailout funds.